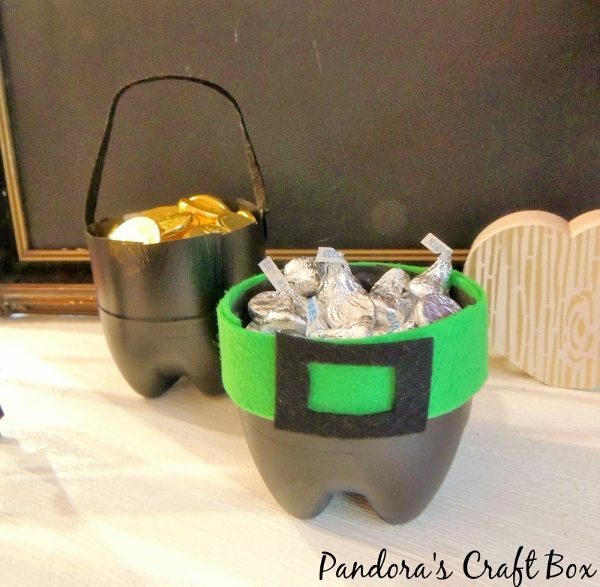 St. Patrick’s Day is almost here and our kiddos love hearing the story of a pot full of gold at the end of the rainbow. I know I did as a child, for adult it might mean something different St. Patrick’s Day but I always looked forward to my little basket of chocolate! I wanted to give the same experience my kiddo this year and I wanted to make him something special. I grabbed two of my soda bottles and made two leprechaun inspired recycled soda bottle pots of gold. The first thing I did was cut the bottles closer to the bottom. After that I did a light coat of black primer . The reason for doing the primer is because I wanted to make sure the acrylic paint would stay on. Also it would dry a lot faster than just doing a acrylic paint on top of the plastic. 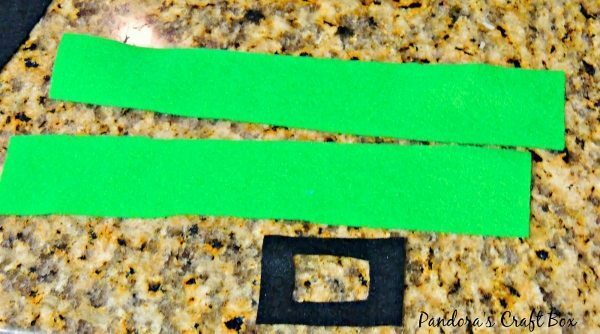 I cut green felt for the traditional color and black felt to make the buckle. 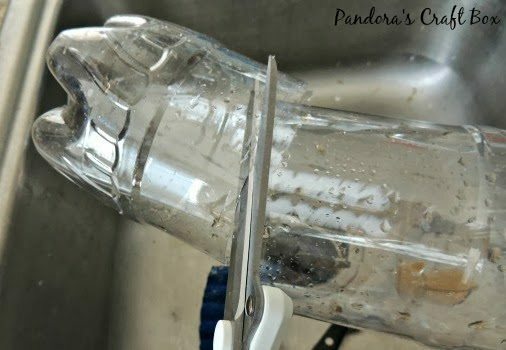 I then glued it with hot glue to make sure it stays on the plastic bottle. 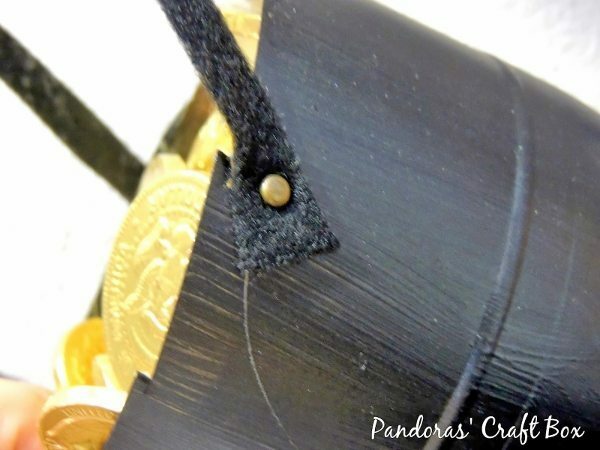 I used a long strip of black felt to make the cauldron handle and I attached it with mini fastener which you can buy at your local craft store. The plastic is easy to piece and attach the fastener. 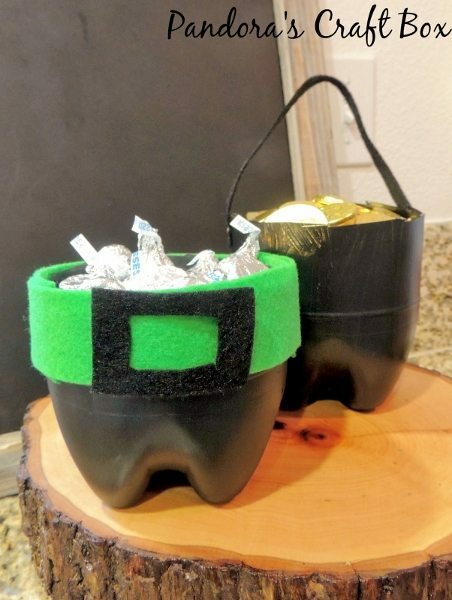 I added some gold coins to the cauldron and some Hershey kiss to the other and let me tell you that one bag of Hershey kiss is not enough to fill one of the cauldron! Luckily I do love my chocolate.